Why Is There Green Plastic in My Sushi? 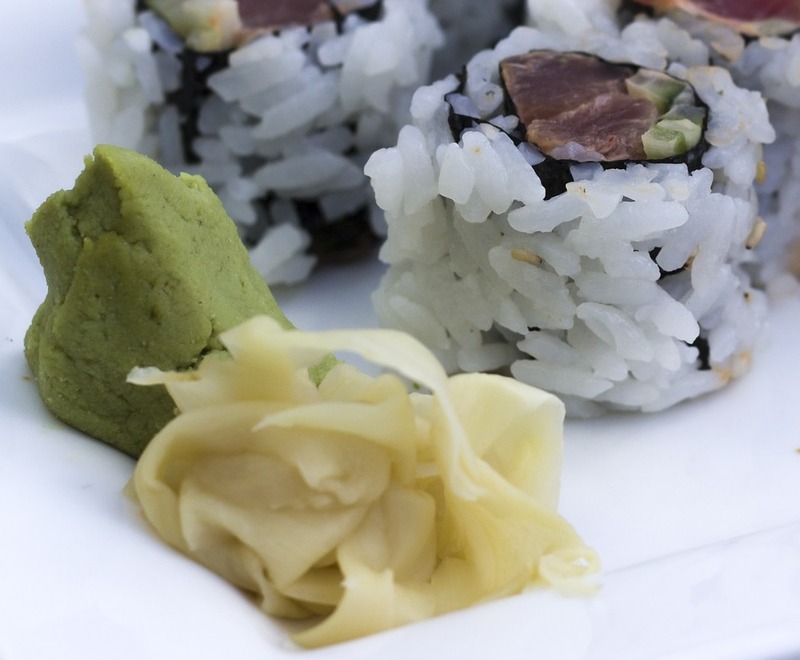 Ever pull out that piece of green plastic from your sushi and think, "why is this always here?" The plastic clearly isn't useful and it's not meant to look like a child's drawing of a grassy lawn. It's meant to represent the perilla or shiso leaf, which should be included with your raw fish for far more than aesthetic purposes. Silly grocery store sushi, the shiso (perilla) leaf was meant to eat, not just for decoration! Perilla leaf is known as shiso in Japanese and zi su ye in Chinese. It is an aromatic and warm herb that disperses cold and promotes sweating (helpful for the immune system), circulates qi and harmonizes the middle (digestion), detoxifies food poisoning from fish, and calms a restless fetus. So it's a lovely herb for morning sickness or nausea or vomiting with a cold (especially the kind that has chills, coughing, and clear or white phlegm). Ginger, shoga in Japanese, sheng jiang in Chinese, is also spicy and slightly warm. It has very similar effects to shiso, but a stronger warming effect to stop vomiting and coughing and ginger resolves toxicity or overdose of a wide variety of herbs and foods. If they were only going to leave one herb on the plate, I'm glad it's ginger. But that doesn't mean shiso doesn't deserve to be there too! So you should eat both ginger and the perilla leaf for their health benefits as well as for their lovely spicy taste! I do see shiso at quality sushi restaurants, but honestly we should be getting shiso in our grocery store sushi of all places! Why is Chicken Soup Good for a Cold?